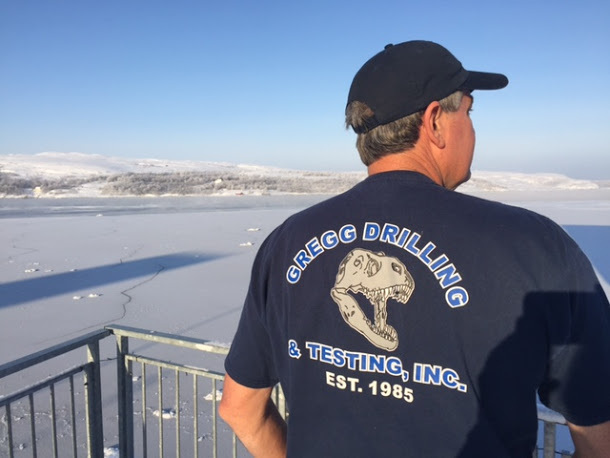 We received this great photo from Robert Foss as he took his Gregg t-shirt all the way to Kirkenes, Norway – about 5km from the Russian border. Robert tells us: You can see the harbor is frozen to my left. As a result, I put my heavy jacket back on right after the second photo. It was around -15C (pretty close to 0F). The trip was to see the aurora borealis, which we saw several nights while on the Barents Sea. Safe travels Robert and thanks for the photo!